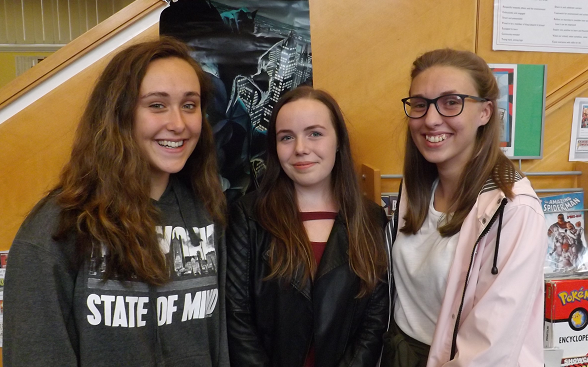 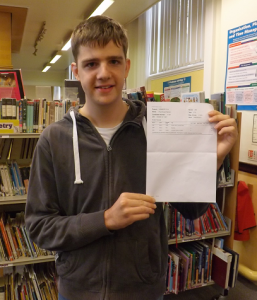 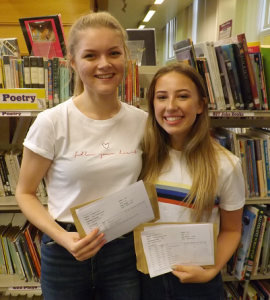 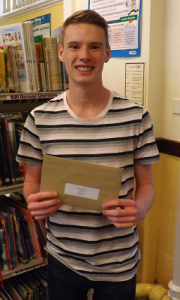 Congratulations to the 150 students who picked up their A-level results today at King Edward VI School. 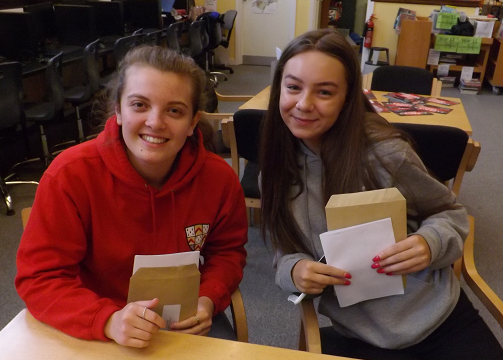 After all the hard work, revision and a long wait it was fantastic to see so many smiling faces this morning. 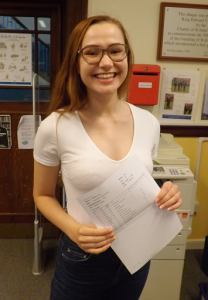 Emily Danks, our School Captain for this year has picked up a phenomenal 4 A*grades and is going to be studying Material Science at St. Anne’s College, Oxford. 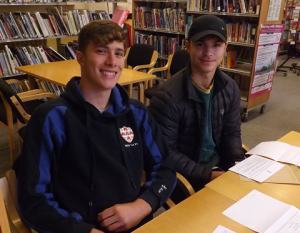 The School Captain and Senior Five put aside a tremendous amount of time and energy to support the school but they have also worked really hard on their studies throughout their time in the Sixth Form. Some of our other top-performing students include Charlotte Blay (A*AAB) who has a place to study Business Economics at Leeds; James Cartwright: A*AB will be going on to study Mechanical Engineering at Exeter; Rosie Farrall (AAA) will be studying French and Maths at Leeds; Michael Fitzpatrick Greening (AAA plus A* in EPQ) will be studying Aerospace Engineering at Sheffield; Abbie Gray (AAB plus A in EPQ) will be studying Law at Birmingham; Peter Greenwood (AAAB plus A in EPQ) will be studying Maths and Philosophy at Sheffield; Isabelle Neville (A*A*B) will be studying Information Management and Business at Loughborough. 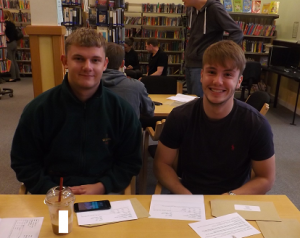 In another transition year for post-16 qualifications, staff and students have not only been learning revised content but also adjusting to new expectations for assessments in both A-Level and vocational qualifications. This year over 87% of students achieved at least one A*-C grade and by 8am this morning nearly all students who had applied to university had the confirmed offer of a place. 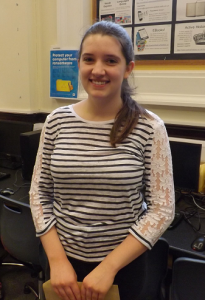 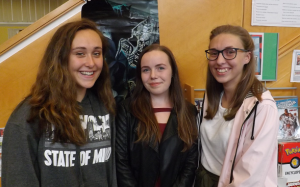 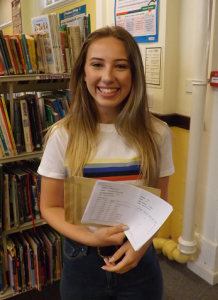 Some students also choose to review their choice of university once they have their results; Fran Rigby who picked up A*AA last year will also be starting at Oxford University this year. We continue to work with schools across the district to keep the subject offer as wide and varied as possible. 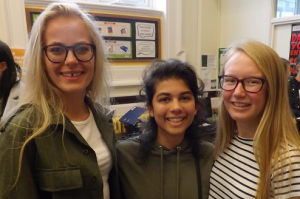 For example, our students have benefited from the opportunity to study Computing and Photography at neighbouring schools. We have maintained our offer for French and German post-16 and of our 7 students, 4 students gained an A and 3 students gained a C at A-level this year. We also taught a further 4 languages’ students from neighbouring schools where they then sit their formal examinations. 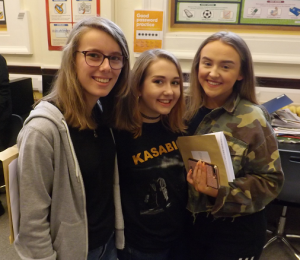 There is national concern about the drop in numbers of students taking a language post-16 and we hope that the revised GCSE will provide a better pathway for students wishing to develop his important skill. Well done to all of our students who are finalising their plans for university, apprenticeships, training, gap years as they move in to the next phase of their lives. 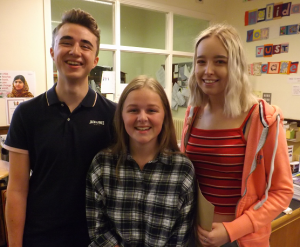 It has been a pleasure to work with them all and we wish them the very best for the future. 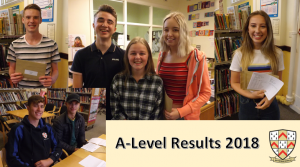 Thank you also to all our staff, parents and families for their support over time.